How does the Pier stand up to our massive tides? Come and explore our super structure and its super strengths. Become your own superhero – what is you superpower? 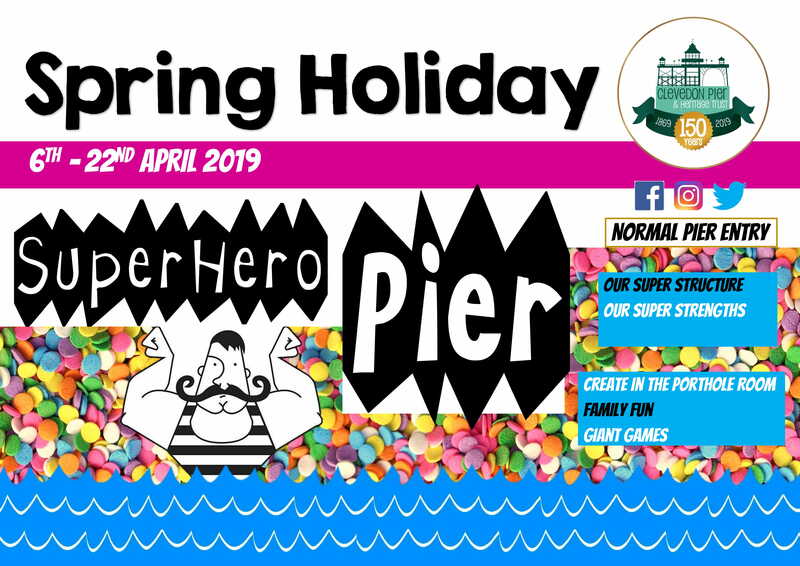 Free entry to dressed up Superheroes on Wednesday 10th & 17th April and back by popular demand, the Pigeon trail – an egg hunt with a difference, can complete the trail and win a prize?